The nature of BPM often requires integrations to other systems to retrieve information. Depending on the nature of the integration these can often be slow. Where the same data is being retrieved many times (e.g. reference data) and across user sessions, an application can achieve a performance boost by introducing a caching mechanism. This article will show you how to use WebSphere's inbuilt DynaCache caching utility to cache IBM BPM objects. I have tested this in 7.5.1 but there is no reason why this would not work on other version of IBM BPM (or the older Lombardi TeamWorks). This isn't going to be a full introduction to WebSphere's DynaCache utility so if you need more information on setting up and configuring caches you will need to look at the IBM documentation. DynaCache provides the ability to perform 2 types of caching: Servlet Caching and Object Caching. For this exercise we are interested in the Object Caching. 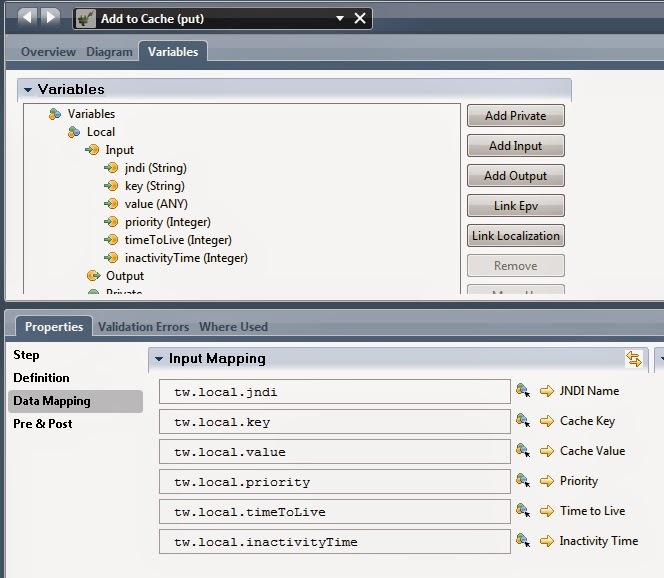 This provides the ability to cache Java objects. 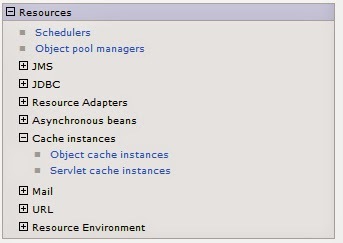 The configuration for the Object cache instances can be found in the WebSphere admin console under Resources > Cache instances > Object cache instances. You will need to create a new Object cache instance to cache your BPM objects. The cache instances are referred to by JNDI name, so you can create as many cache instances as you require. For this example I have created an Object cache instance called "bpmCache" with a JNDI name of "services/cache/bpmCache" (this is the standard naming convention for JNDI names for cache instances). The rest of the fields can be left as their defaults but you may need to refer to the IBM documentation for DynaCache to get your required configuration. To expose the caching functionality to IBM BPM you need to create a JAR file with a class which exposes the relevant methods. To each I pass the JNDI name of the Object cache instance to use (as you may have many). * @param value             Object  Value to be cached. Finally, you can add the JAR as a managed file and expose the caching functionality through Java Integration Components. For the put and get methods which take/return type of java.lang.Object, you can use the BPM type of ANY. This will allow you to store any complex variable (as they are of type com.lombardisoftware.core.TWObject) in the cache. When the object is retrieved from the cache it will be instantiated automatically into the correct BPM variable type. A copy of the JAR and source code can be found on Github.